The Oakland Raiders have a huge decision to make in the coming draft. According to Michael Silver of NFL Network they’re considering taking a quarterback in the first round, and if Kyler Murray is gone already at No. 4 Dwayne Haskins could be their man. 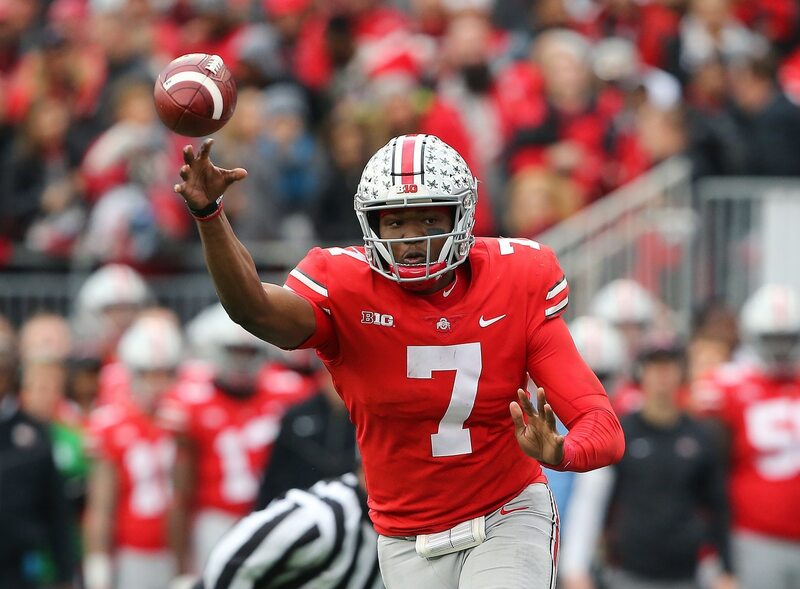 Silver said on NFL Network Wednesday that, despite rumors Haskins’ stock is sliding, the Raiders are “very high” on Haskins, whom they’ve hosted for a private workout recently. He reports that taking Haskins No. 4 overall might be a bit rich. However, if Haskins were sliding they’d be inclined to potentially use their other two first-round picks to move up and take him. Oakland has publicly thrown support behind Derek Carr this offseason. Yet the Raiders have also not hidden their interest in top quarterbacks ahead of the 2019 NFL Draft. It’s an interesting dynamic going on, not unlike what the Arizona Cardinals are doing with Josh Rosen and Kyler Murray. The draft can’t get here soon enough.